My son has been scanning our slides, and has burned them to a DVD for me for Christmas. I am going to feature some of the photos on the blog. Many of these were taken as my interest in Australian native plants increased and our holidays took us camping in National Parks. 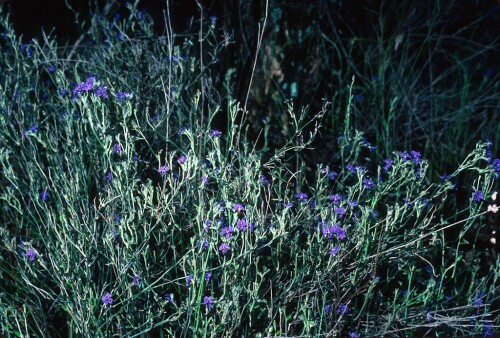 Dampiera are suckering plants which form clumps, increasing from an underground root stock from which new growth arises. When this happens is a good time to prune out old growth and tidy the clump. 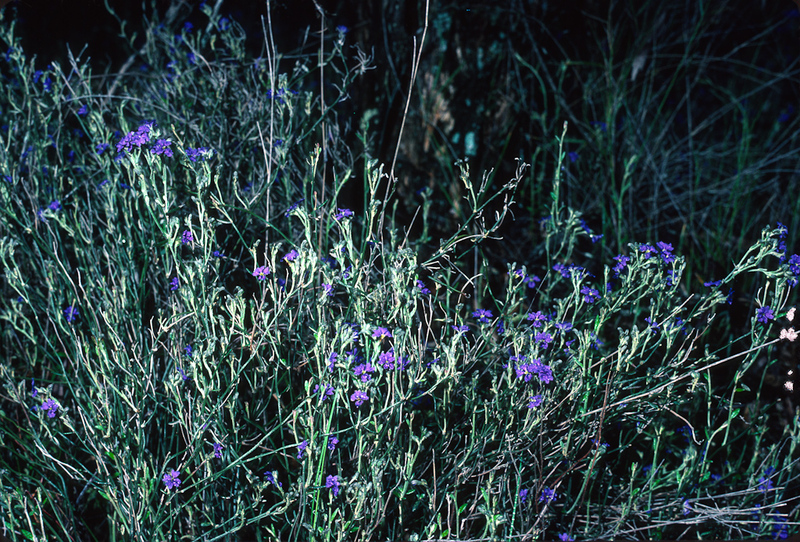 This photo was taken in Little Desert National Park in Western Victoria and I suspect it is a subspecies of Dampiera rosmarinifolia. I will check that when I get access to my reference books again. This is a hardy plant and has grown very well in our 350 mm of rain which we usually get in the winter. It flowers in the spring with these dark purple flowers. We have a pink and a mauve version of this also. 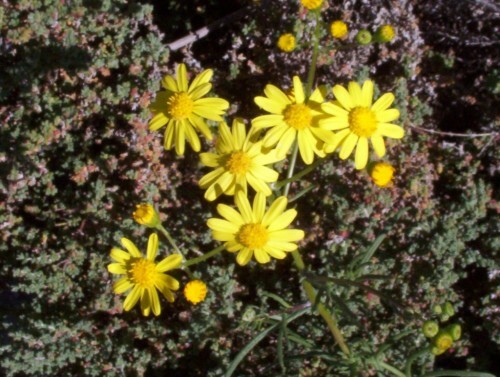 It needs well drained soil which can be achieved by mounding the soil. Even as little as 10 cm will improve drainage. ‘The Mallee’ is a term covering several scenarios. The Mallee is a term used to describe areas of the country which are covered in mainly Eucalypts of the mallee type. A feature, and this is what I love, is the variety of smaller plants forming the understory. These plants are often prolific and very colourful flowering plants. We talk about Mallee towns being those towns, usually in farming communities, which exist because of the mallee areas being cleared for farming. 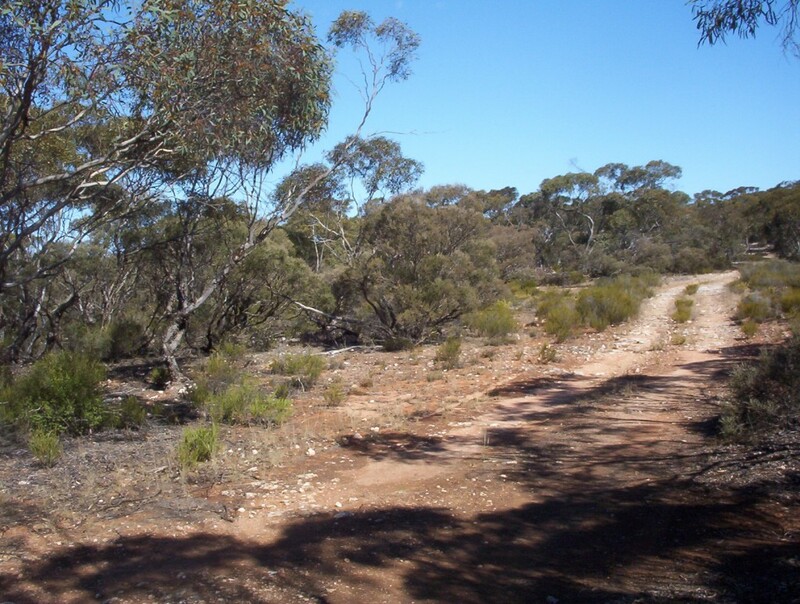 The photos show parts of Lowan Conservation Park including the access track through the park. 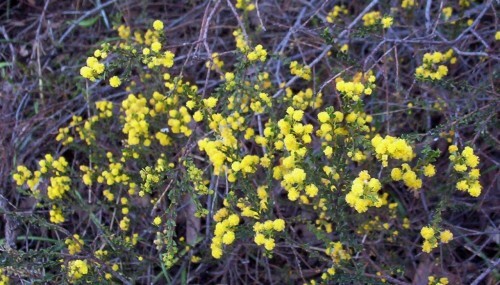 Acacia rhetinocarpa is a rare wattle which is endangered in South Australia. I have a plant given to me many years ago. Every year I miss out on the seed as the pods seem to split quickly and seed has gone before I get a chance to collect them. Seeing the abundance of the flowers this year hopefully means that seed will set and if I am organised I will try to put a stocking bag over a few branchlets to catch the seed.It is a pretty ornamental wattle. 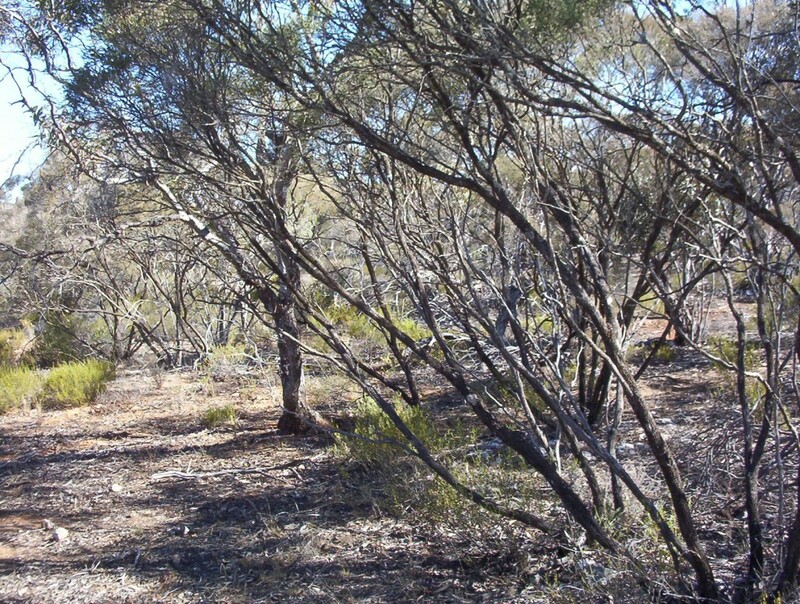 Members of the local Australian Plant Society used to check on a small colony of plants near here. The plants grew in a position where they received some water run-off from the road. Ferries McDonald Conservation Park in South Australia has some colonies which were protected by the Field Naturalists Society. My plant is only about a metre tall and wide. They can get to one and a half metres but mine is growing at the base of some mallee trees and has root competition.This is another tough drought, frost and lime tolerant plant. You are currently browsing the archives for the Conservation Parks category.